We made the floors in the bakery shop Voskamp in Brielle anti-slip with our unique Maxxgrib step 1,2,3 system. - MaxxGrib Specialised in anti-slip treatment of all thinkable slippery floors. Phone: +31 (0)6-12 14 61 54 | +31 (0)6-55 25 37 72 | Non-Slip floors, Don’t let safety slip away! 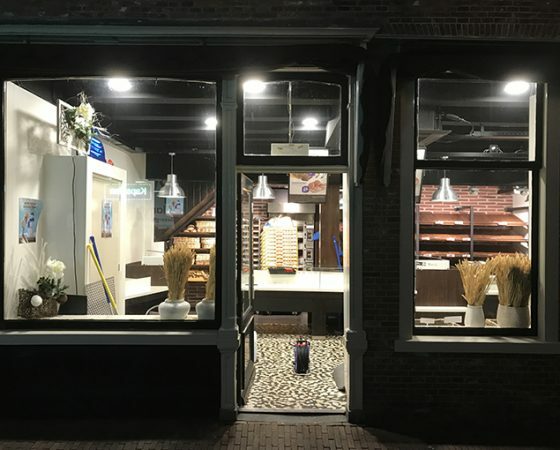 We made the floors in the bakery shop Voskamp in Brielle anti-slip with our unique Maxxgrib step 1,2,3 system. Home / Nieuws / We made the floors in the bakery shop Voskamp in Brielle anti-slip with our unique Maxxgrib step 1,2,3 system. Voskamp is a Dutch bakery with 16 bakery shops is The “oliebollen” (A Dutch delicacy traditional in December) champion of 2016. We approached them as we learned from regular customers there the floors in the shops are very slippery especially when it was raining. We met with the owner who acknowledged this was indeed the situation in several shops. We good the contract to make the floors anti-slip in the bakery shop in Brielle with our unique MaxxGrib Step 1,2,3 system. After closing hours we treated the floors and when finished late in the evening the owner stopped by and was pleasant surprised how clean and anti-slip the floors have become. Now it’s up to the staff and the customers to evaluate and tell their experience on how anti-slip the floors are so after positive feedback we can do make all the Voskamp bakery shops floors anti-slip.